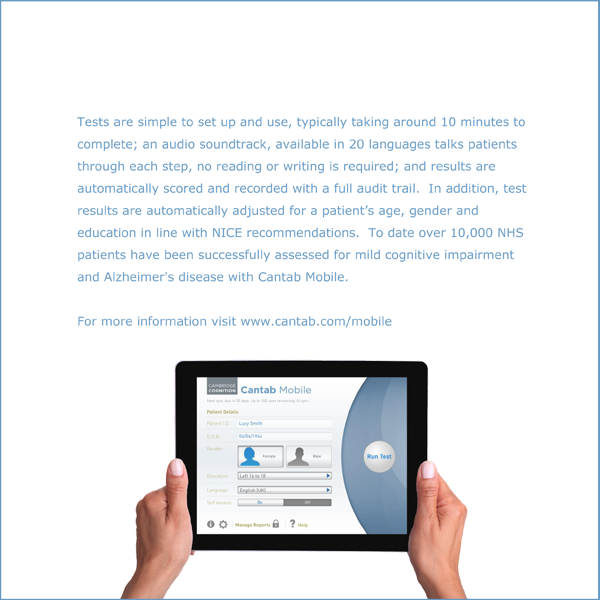 A scientific and clinical review of CANTAB Mobile. CANTAB Mobile is based on technology that has been used in scientific research for 25 years. Invented at the University of Cambridge, the Paired Associates Learning (PAL) test was developed as a way of assessing episodic memory without language barriers.